Forget about Cheryl Cole or Kylie Jenner,my celebrity make-up crush is Kat Von D. Her make-up look is definitely the one that I'm always trying to recreate, especially her trademark winged liner. Whilst visiting the US last year I was able to pick up the Kat Von D Tattoo Liner in the shade 'Trooper' (I actually bought a couple of them). 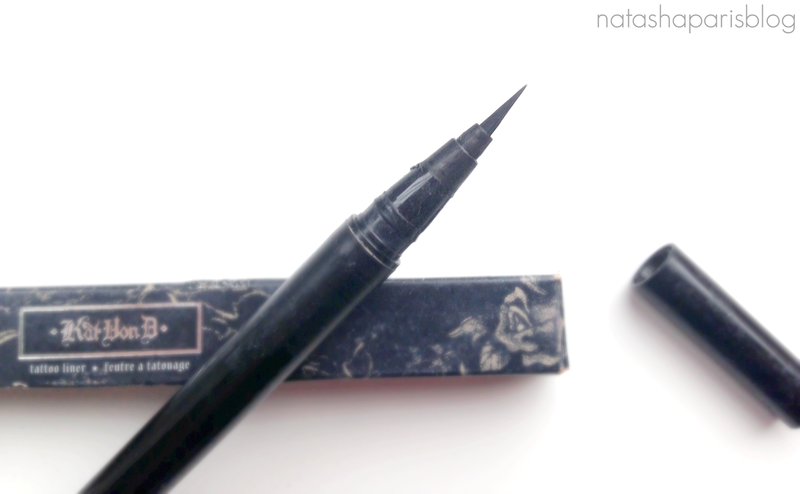 Ever since then this eyeliner has become a staple within my make-up routine, hence the branding rubbing off. 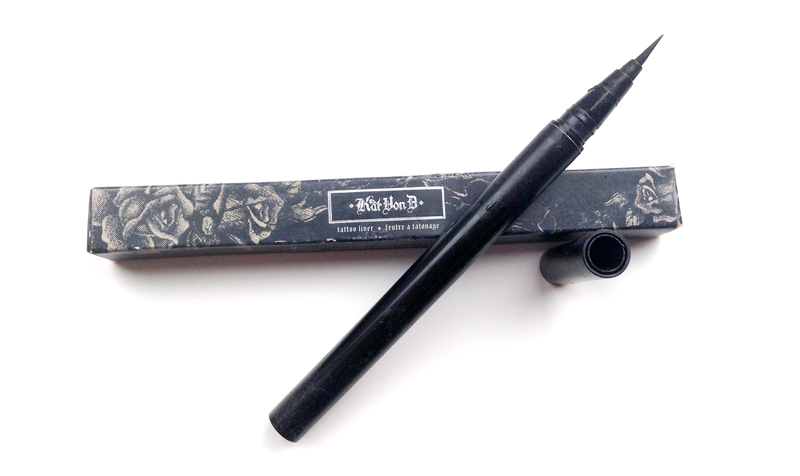 The Tattoo Liner is a liquid eyeliner in a pen form, which is my favourite type of eyeliner to use as I find it's the easiest to apply.Unlike similar products I've tried this product actually has a brush tip, rather than the traditional 'felt pen' tip. This helps to prevent the eyeliner from drying out whilst also providing a much more defined line and cat eye flick. At the time of writing this product wasn't available to buy anywhere in the UK. However, I've popped back to update this post in September 2016 with news that Kat Von D Beauty is about to be launched online at Debenhams (with products hitting counters in October). How exciting! Have you tried this product? I'd love to here your thoughts.